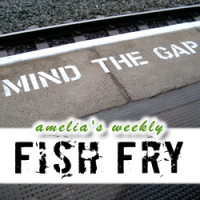 We’re tackling the multi-faceted challenges of embedded software development in this week’s episode of Amelia’s Weekly Fish Fry. Amelia Dalton of Electronic Engineering Journal takes a closer look at how debug environments can make all the difference in complex designs and why the RISC-V architecture is gaining traction. Simon Davidmann (CEO - Imperas) and Rupert Baines (CEO – UltraSoC) chat with Amelia about common debug environments for embedded software development for simulation and hardware.